Lewes, Glynde and Beddingham Brass Band have qualified for the 2nd section National Brass Band Finals! 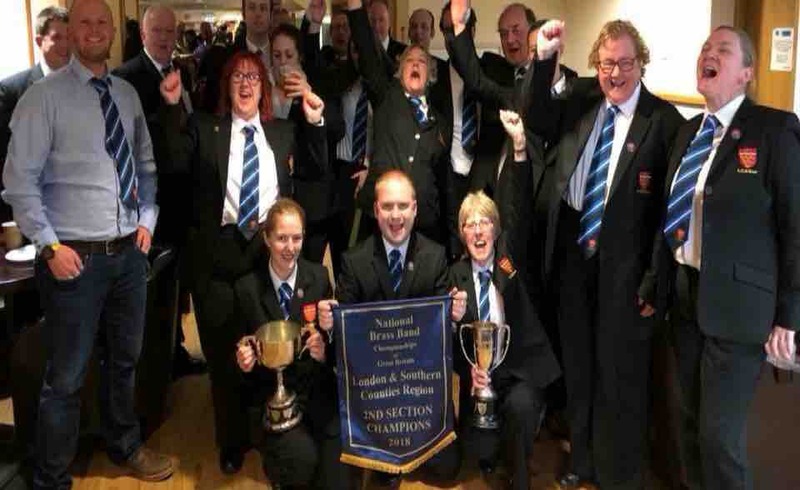 On 18th March the band travelled to Stevenage to compete in the ‘London and Southern Counties’ 2nd section contest, where we competed against 17 other bands. We managed to wow the adjudicators enough for them to place us 1st! This meant we qualified for the National Finals. The contest will take place on 15th September 2018 in Cheltenham and we will be competing against 17 bands from around the UK for the ‘2nd Section National Champions 2018’ title. With over 25 brass players and percussionists, hotel fees, transport, music, tickets etc. The cost soon mounts up.We would really appreciate any donation you can make towards our Cheltenham fund. Many thanks for your kind generosity.